Finally! Proof that it exists! Re: Finally! Proof that it exists! Even though I don't care for Rally wheels, I love your stance! I think Salt Flats would definitely set your car off! So what's your current tire size & do you care to let us know more details about the springs? my guess is 275/60 rear and 245/60 front? Kinda what I was thinking, but maybe 235/60 up front judging by the gap. Either way, that stance is awesome. I'd even be tempted to go one more inch lower in the front if nothing scrapes. Black was right on the tire sizes... 245/60's on the front and 275/60 rears on 15x8 rallyes all the way around for now. A congratulatory handshake is in order for him! As for the springs, they're whatever Global West's 1 inch lowering spring is. I picked them up since they were about $10 more than the factory style replacements...couldn't pass up on a deal like that! They ride surprsingly well. They're much shorter than factory springs, but they're a bit stiffer to make up for the size difference. They definitely firm up the ride without making the car uncomfortable to drive on Indiana's fine, un-crater-filled roads. Oh, wait, that's a lie...Indiana roads are terrible, and I'm amazed the car still rides very well for all the suspension work that's been done. Rago's right, this thing WOULD look great lowered another inch or so in the front, but this stance is as comfortable as I'll get with lowering it. I can barely get a jack under it how it is. It sits really, really low in person. Looks great man. I'm sure the springs will settle a little over time anyway. I feel your pain with the jack issues. I can't get my floor jack under the crossmember without using another jack from the side.... Kind of a PITA, but worth the look! 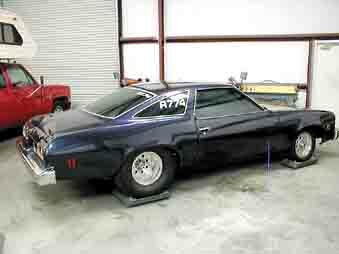 74Malibu383 wrote: Looks great man. I'm sure the springs will settle a little over time anyway. I feel your pain with the jack issues. I can't get my floor jack under the crossmember without using another jack from the side.... Kind of a PITA, but worth the look! You mean you don't have a low profile racing jack? I'm actually surprised as cheap as they are. I honestly don't even think it would fit. It's low man.... really low. Probably too low. I took the transmission out last weekend and sent it back to BTO for a rebuild. It was doing some funny things and I was almost up on my warranty. Once I get it back in the car and put it on the ground, I'll take a measurement for you. If I remember right Norther Tool sells some aluminum low prow racing jacks for around $200.00. They are pretty low, my brother had to get on for his mustang. Works pretty good so far. Just a suggestion. without a slight pull up on the front bumper. Malicruiser wrote: If I remember right Norther Tool sells some aluminum low prow racing jacks for around $200.00. They are pretty low, my brother had to get on for his mustang. Works pretty good so far. Just a suggestion. Dude...I love the stance. Not big on wide rims like that...but that looks sweet as hell! These cars demand wide rims. Hell, I say go wider! Hate to admit it, but I'm a fan of the big N littles. Once I saw what they look like on our cars though, I knew I had to go wide. There's just too much fender not to go big all around. I'd still like to have a set of skinnies for the drag strip, but daily drivers need at least 8" all the way around & 10" out back would look even better. You know on any other car I prefer them, but there's something about the way an 8" front wheel looks on a G3 Chevelle that I changed my mind. Rago wrote: Hate to admit it, but I'm a fan of the big N littles. Once I saw what they look like on our cars though, I knew I had to go wide. There's just too much fender not to go big all around. I'd still like to have a set of skinnies for the drag strip, but daily drivers need at least 8" all the way around & 10" out back would look even better. What? Big N Littles like this Rago?! MMMmmm.......... & Draglites to boot! It's pretty hard to say no to that. Still look at the front fender gap. On a drag car it looks sweet, but for an every day driver, I'm on the fence. I'm slowly being convinced by the pro-touring & autoX crowds that wider might be better. Man that car looks freakin beautiful. I miss my Draglites. Well Rago I miss my Draglites too. I use to have 8" wide Draglites on all fours of mine but since they were 14" I was having too hard of a time finding big enough tires to fill the fenders. 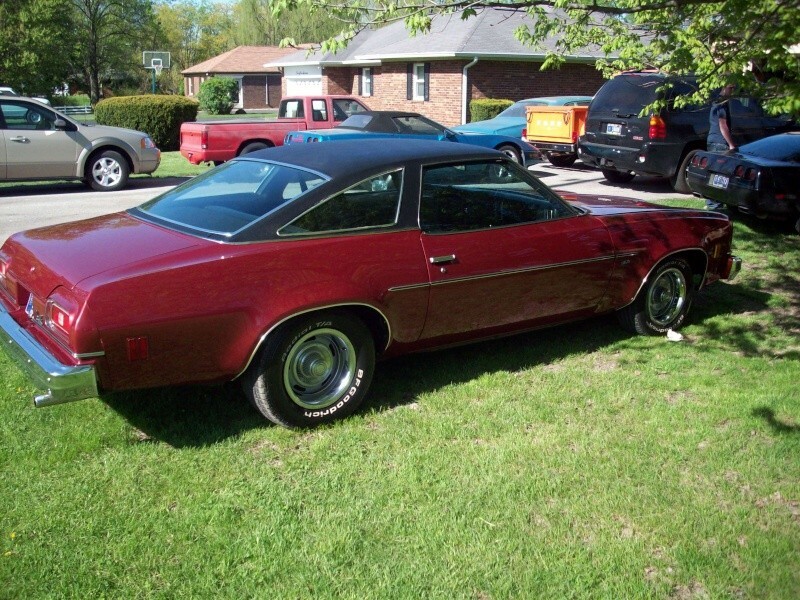 That's when I bought my Bassit nascar rims then (thanks to a discount from a friend) put Goodyear Eagles on them. But if you had 8" wide draglites or even 7" on the front of a fully tubbed 3rd gen I think it would look Hella Mean. Wow ... VERY nice! Love that color. Best thing about that car..... full black vinyl top! It definitely sets the car apart from other G3's. I don't know about 8" draglites up front, those are straight drag racing wheels. I would go with 4" - 6" or maybe 7" & a skinny tire. Again, I would still need a different set to drive daily. Skinny tires not only look empty on these cars, but for a street car, they feel awkward. Draglites always look badass though. That's the cool thing about it being my car- my opinon's the only one that matters. As soon as I get the drivetrain sorted out, I'll start looking for some Salt Flat style wheels. I saw them on a 77 Century in an issue of PHR and decided that that's the wheel style I want. I "think" I want some 17's up front and 18's in the back. IndyG3 wrote: That's the cool thing about it being my car- my opinon's the only one that matters. Don't you mean you saw it in an issue of Hot Rod. They had it in the Dare To Be Different section if I remember right. Rago wrote: Best thing about that car..... full black vinyl top! It definitely sets the car apart from other G3's. I just remember seeing the same set up on my uncles pro street 88 Chevy pickup. Ever since then I've always kinda liked wide draglites up front for a street car.